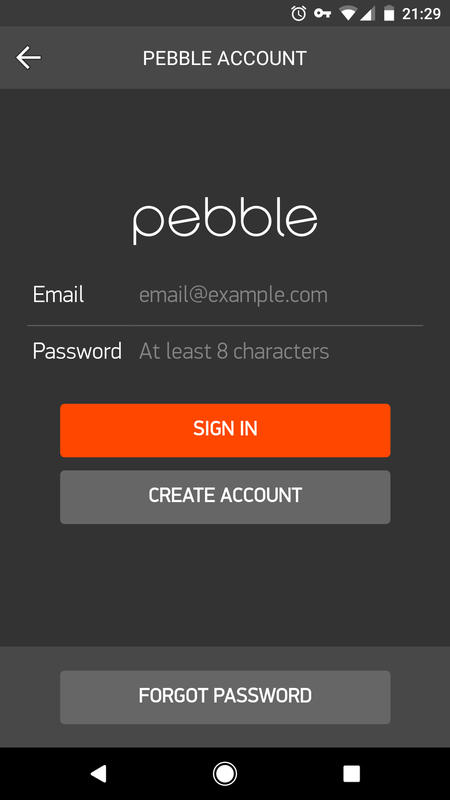 Since v4.4 of the Pebble app on Android, announced April 2017, it is advertised that it is possible to skip account login. At first glance however this does not actually appear to be the case. One is greeted with the usual login page. 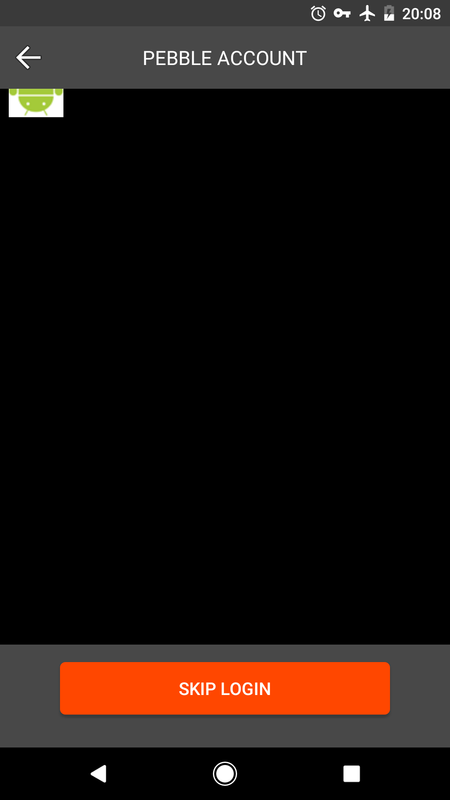 If Pebble’s authentication servers can’t be reached, users can skip the login process, but the Pebble appstore will not be available.Apps can only be installed via side-loading if this occurs. In other words, you will need to flip on airplane mode, or by other means block access to Pebble service to get the ability to skip login. Header by Jon Tyson, https://unsplash.com/photos/XzUMBNmQro0.